The system comprises of a subsea MicronNav unit, a surface USBL transducer unit with integral Magnetic Compass and Pitch / Roll sensors, a surface Micron Nav 100 interface module and operating software under control of the customer host PC / Laptop. MicronNav uses the very latest in Spread Spectrum acoustic technology, which provides a robust method for communications between the dunking transducers and the vehicle responder/ transponder. The UBSL Tracking System can be used as stand-alone unit, powered by and communicating with the MicronNav through a spare RS232 port on the ROV (at 9600 baud) or RS485 through a spare screened twisted pair in the umbilical. Alternatively it can be integrated with the Tritech Micron sonar communicating via the sonar RS232 aux port. The USBL transducer is designed to provide 180 degree hemispherical coverage below the transducer, allowing vehicle tracking in very shallow water. The design of the ROV MicronNav transducer provides omni-directional coverage. The TrackLink systems are the world's best selling USBL acoustic tracking systems with fully integrated high speed acoustic communication capability. Capitalizing on its benchmark Broadband Acoustic Spread Spectrum (BASS) technologies, LinkQuest provides the end users with solutions for underwater tracking and communication at sharply reduced cost and increased robustness. An extensive line of models are available to suit the users' specification and budget constraint. Extensive use of modern digital signal processing techniques and state-of-the art DSP processors sharply reduced cost for end users. Broadband Acoustic Spread Spectrum(BASS) technologies. Fully integrated with LinkQuest's most advanced high speed acoustic modems. 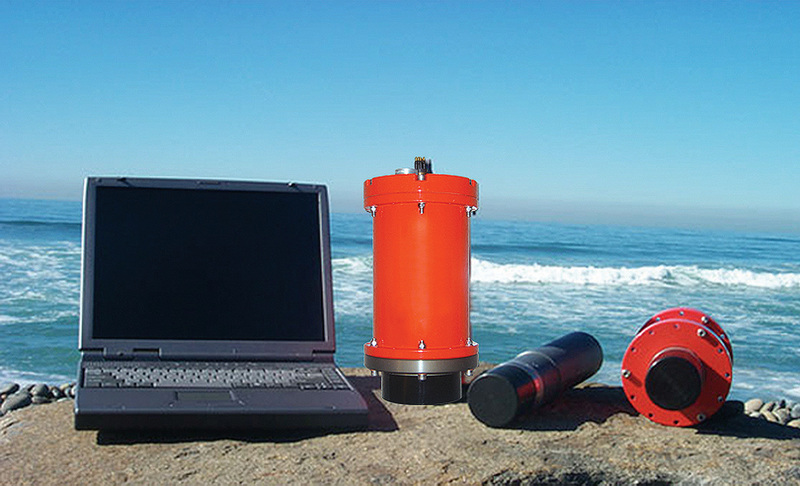 The USBL transponder and acoustic modem share the same electronics and transducer. It significantly reduces the total size, weight and power consumption and eliminates acoustic interface. Advanced power-efficient DSP technology for the USBL intelligent transponders. Field operation time is increased by many folds. PC Windows tracking software to display range, bearing, depth, GPS position and other information from the sensors such as an altimeter. Interface directly to the transceiver. No need for a heavy proprietary deck unit. Industry's Smallest and lightest transceivers allow easier and cheaper installation from a ship.